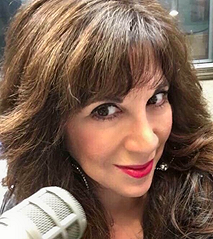 Veteran air personality Karen Blake joins Entercom AC WMJX-FM (Magic 106.7) Boston as its new afternoon host, weekdays from 3-8pm ET, effective immediately. The move marks Blake's return to Boston after serving as morning host for WQRC on Cape Cod for the last five years. Prior to her time at WQRC, she spent seven years as host of mornings and afternoons for WODS-FM Boston. From 1996 to 2005, Blake hosted the mornings for WQSX-FM (now sister station WEEI). "Karen is a legendary personality with a storied career in Boston, and we are excited to welcome her to the Magic 106.7 family," said Regional President and Market Manager Mark Hannon. "It is a privilege to return to the Entercom family," said Blake. "I am looking forward to being part of an air staff that I've admired for years and am thrilled to be continuing my career in my hometown of Boston."